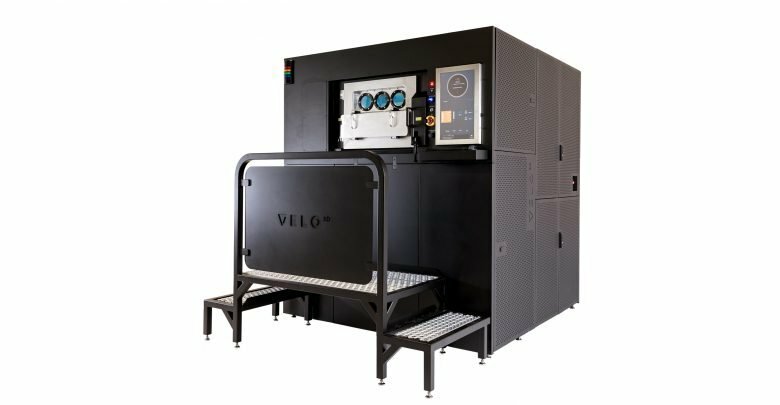 After raising over $92 million in funding, Velo3D today finally emerged from over 4 years of stealth mode operation by releasing its first end-to-end metal additive manufacturing solution comprised. 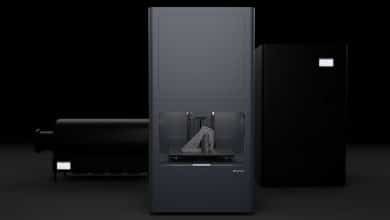 The full package delivers on Velo3D’s announced goal of truly disrupting metal AM in terms of cost and productivity. 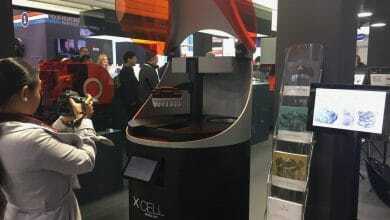 It comprises the Velo3D Sapphire 3D printer, the Flow print preparation software, and what the company refers to as Intelligent Fusion technology. 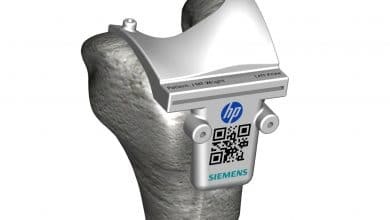 Together, the integrated solution solves some of the most difficult AM challenges including product design limitations, part-to-part consistency, process control and cost-effective manufacturing. 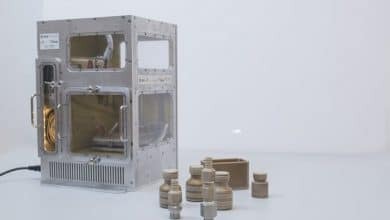 The way it does this is by introducing an advanced software and hardware combination that enables virtually support-free metal powder bed fusion part production. 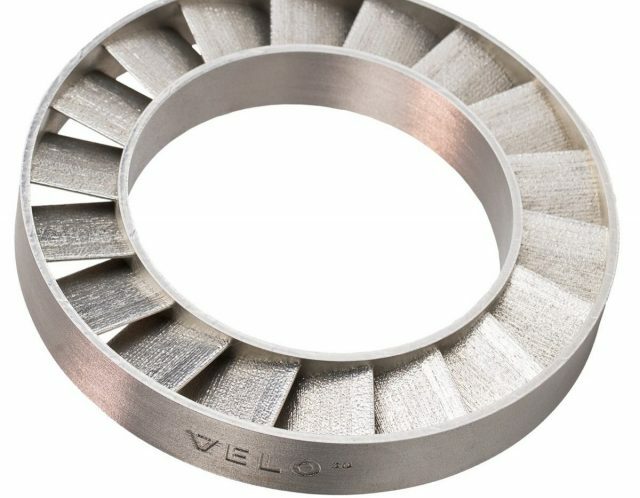 Instead of focusing on complex mechanical or chemical post-processing to remove supports, Velo3D’s smart additive manufacturing process uses advanced, software-based simulation and process monitoring solutions, along with a unique recoating system that does not require a fully flat surface (it can intelligently avoid printed parts to deposit metal powders around them). The ability to do away with support for overhangs of less than 5° opens up a large number of opportunities, drastically reducing the time (and thus the cost per part), by between 30% and 70%. 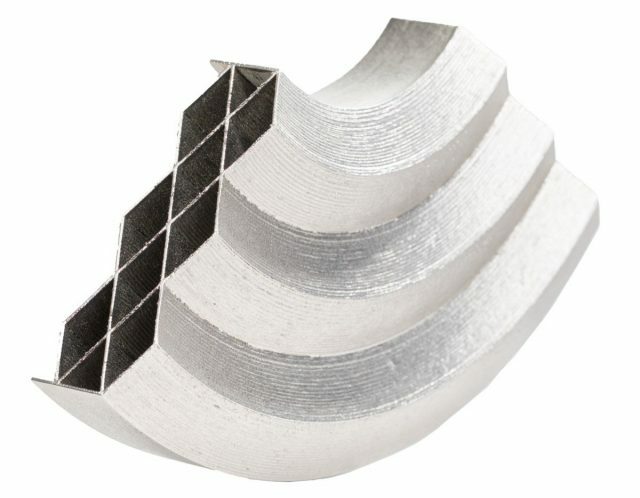 By requiring from 3 to 5 times less support, even for highly complex geometries, the Velo3D system is ready to compete with upcoming production systems such as those presented or announced by Desktop Metal, HP, GE and Stratasys, while offering the added advantage of not requiring any furnace sintering. The parts come out of the powder bed almost completely finished. This also enables augmented automation capabilities, with a sealed build chamber operating, in-situ metrology and closed loop meltpool control. The result is that finished parts can just be dug out of the powder bed with impressive ease. 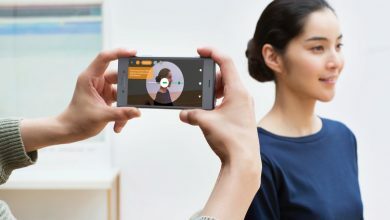 Perhaps even more interestingly, Velo3D is not coming out of stealth mode to introduce an alpha or early beta version of its machine: it is releasing it for global commercial availability. 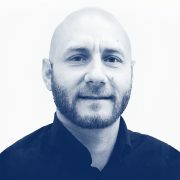 Velo3D’s beta partners have had the systems in-house for some time now and they have already been using them to provide parts for their customers in segments such as aerospace, defense, energy and medical applications. The Sapphire system is a laser powder bed metal additive 3D printing system designed for high volume manufacturing. It is capable of building complex geometries including designs with overhangs that are less than five degrees and large inner diameters without supports – something previously unheard of in the AM industry. To deliver superior part-to-part consistency, Sapphire’s integrated in-situ process metrology enables first-of-its-kind closed loop melt pool control. To maximize productivity it contains a module that enables automated change-over with offline unpacking. Currently supported materials focus include primarily on titanium and Inconel (a nickel-based superalloy) which are among the most widely used by current AM adopters in the aerospace and medical segments. These are processes through two 1Kw lasers while an inert atmosphere is obtained through the use of Argon gas just like in all other laser PBF systems. Key to the system’s productivity rates is the flow print preparation software includes support generation, process selection, slicing and simulation of complex part designs to validate execution feasibility before the build. Geometrical feature-driven processing enables low angles below five degrees. 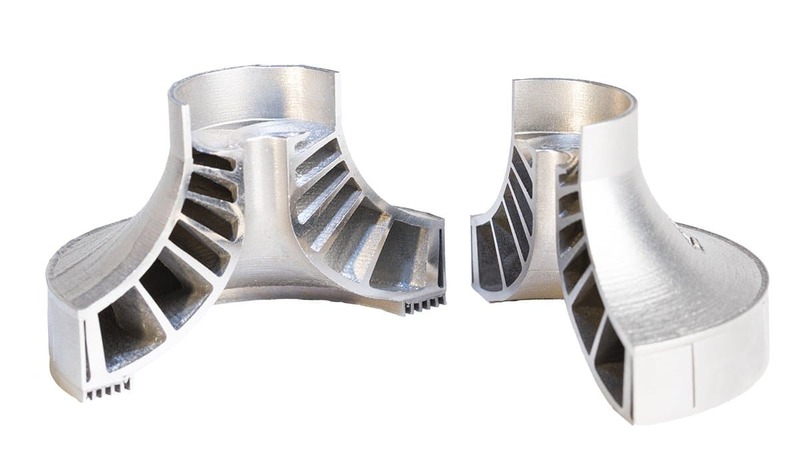 In addition, deformation correction technology enables the user to produce parts without the need for iterations, achieving a first print success rate of up to 90 percent. Flow minimizes the need for supports, reducing typical support volume by 3-5 times, which removes or reduces the laborious post-processing necessary with conventional approaches. Enabling an end-to-end integrated workflow, Intelligent Fusion is the technology that powers Flow software and the Sapphire system. Intelligent Fusion optimizes the AM process by combining thermal process simulation, print prediction, and closed-loop control during print execution. Velo3D is targeting production for aerospace, energy for turbomachinery parts such as pumps housings impellers, fuel nozzles. In medical we are able to provide implants for hips as well as spinal supports. Parts come out of the machine 99.99% dense and ready for use. 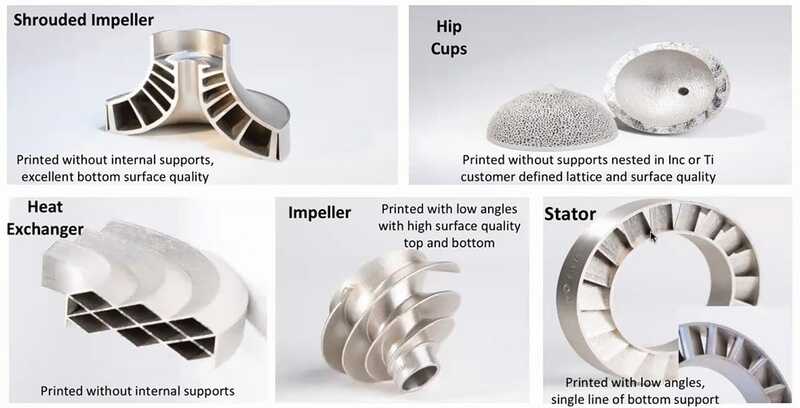 As shown in the video below, Velo3D’s Sapphire system can produce parts such as hip cups upside down with no supports, They are effectively floating in the powder bed and can be removed effortlessly. Perhaps even more importantly they can be stacked so we can entirely fill the build volume with multiple parts. This means that in the same build volume, instead of just 50 parts of the size of the hip cups, it is possible to place as many as 429. That’s almost 10X productivity. Combined with almost no post-processing required, that reads mass production.